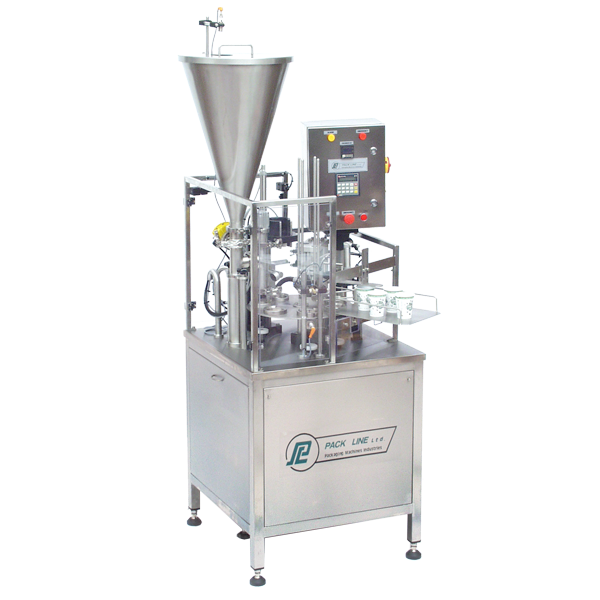 NBM cup filling and sealing is a technologically advanced line of fully automatic rotary filling and sealing machines. 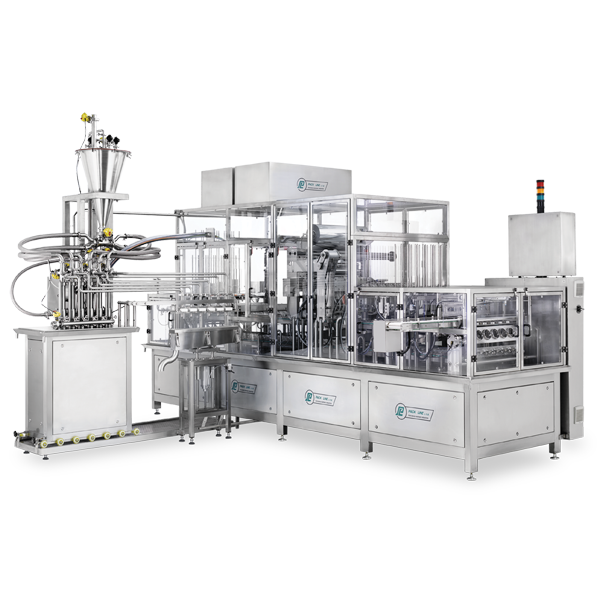 This line, which features a smooth index or driven movement of a 12-positions rotary platform, is the best solution for liquid, paste, granulated and powdered products. 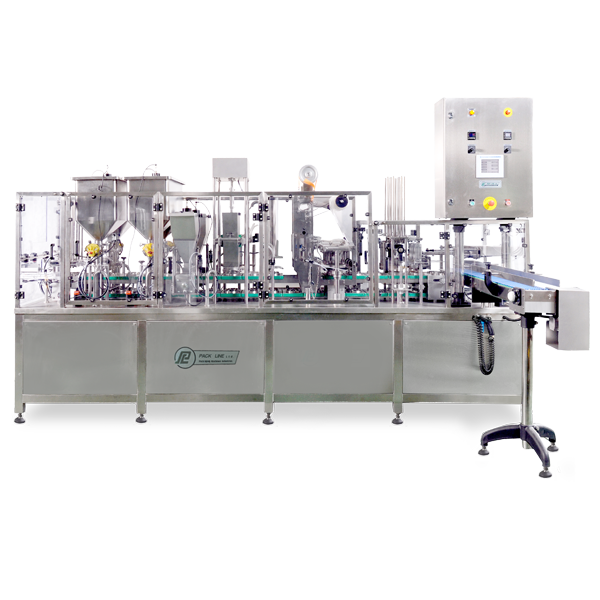 A fully automatic cup sealing machine with pre-formed lids or membrane cut directly from roll. Rotary platform is driven by analogue engine. 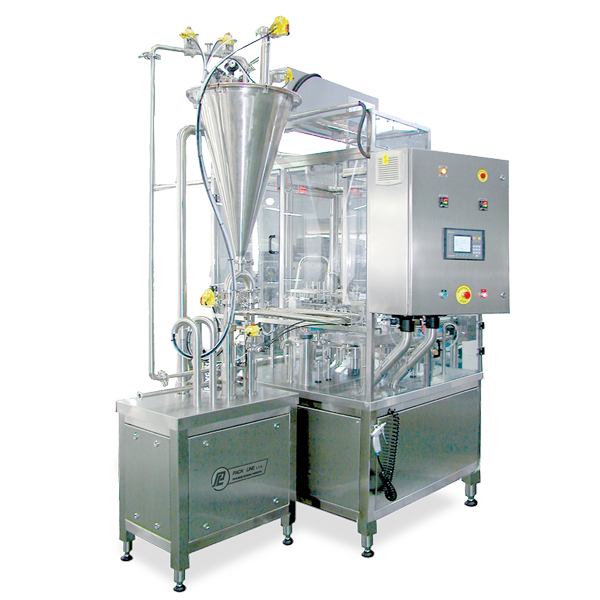 The cup filling and sealing machine easily handles up to 20 oz. of volume and utilizes 7 to 9 station rotation platforms depending on cup configuration and capacity. Two filling operations may be preformed in the same cup before sealing.